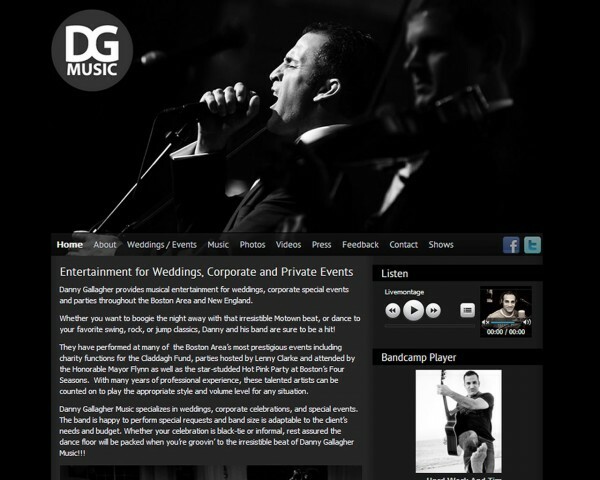 This site features the music and services of Danny Gallagher. The Wordpress CMS framework was used as a foundation and is supplemented by several custom plugins. Our custom Facebook plugin allows Facebook content to be integrated right into the website so wall posts and events appear without any redundant effort. It also pulls in all the photos from Danny's facebook page for the photo gallery. Our custom music player plugin allows tunes to be played directly on the site. It integrates the media management from Wordpress with the jQuery written jPlayer and provides nearly continuous playback across page loads. Our custom Active Pages Widget allows flexible sidebar content to be specified in proper context. Owl Watch provided configuration for Danny's Bandcamp site: http://dannygallagher.bandcamp.com. Check out Danny's amazing talent and download Hard Work And Time for free! Next Project King Jewelers, Inc.